It’s been quite some time now that I have had noticed our pets, a cat and two dogs trying to eat grass (at times) and I have always thought that it might be their natural process of cleaning out stomach, now I feel like sharing it here that I was correct. Animals across Brazil, Kenya, US and the UK have been observed doing self-medicating, also called the zoopharmacognosy. Despite the fact that eating offbeat stuff, food that actually is not is their regular diet, make animals feels sick, yet they consume certain plants. According to researchers, it is a way of detoxifying their stomach and relieving from current discomfort. 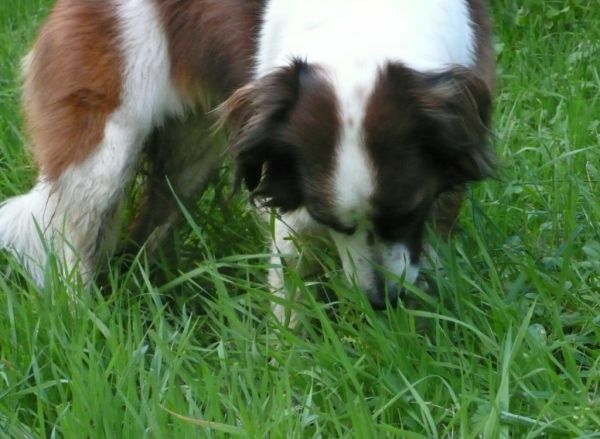 Not only dogs and cats, other animals too have been noticed in eating plants, which otherwise they never consume. For instance, it has been observed that by eating Aspilia plants, chimpanzees try to get rid of parasites. The leaves contain thiarubrine-A, a chemical that kills intestinal parasites. 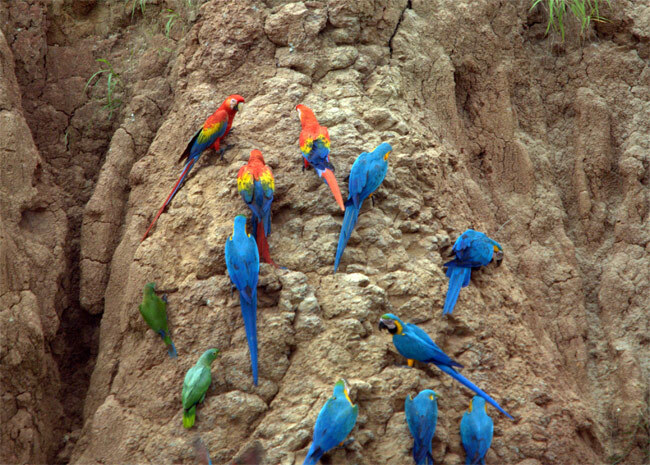 Red and green macaws detoxify by swallowing kaolin clay while Amazonian macaw consume toxic berries to mitigate stomach problems. Tapirs, forest elephants and mountain gorillas are known to eat clay, as it is believed that the grained soil helps in alleviating diarrhea in these animals. 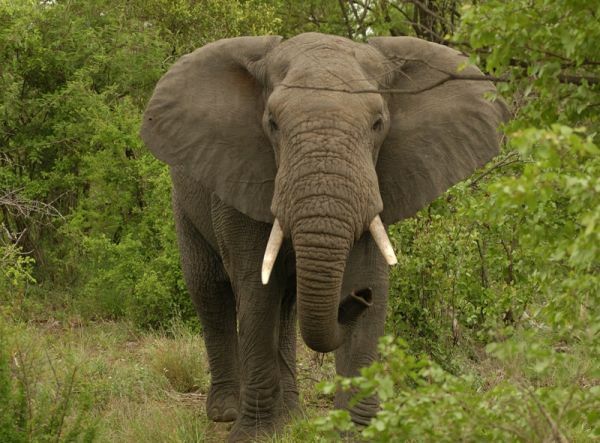 Researcher Holly Dublin, spent nearly an year watching elephants in Kenya. She reported that during the time of labor, pregnant elephant consumed boraginaceae plant, which otherwise was not in her regular diet. Pregnant women of the region to induce labor also ate the same plant. Hence, she concluded that there are possible chances that the elephant too consumed it for the same effect. Similarly, pregnant lemurs have been noticed swallowing tamarind and bark to increase milk production and induce labor. They also offer bark on their progeny as it assists in killing parasites. 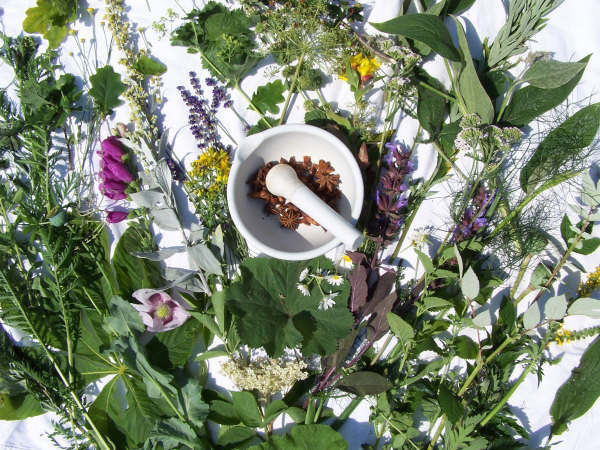 Nature is saturated with medicinal herbs and there is high possibility that people in primitive era or the early civilization were aware of these remedies and hence, looked upon nature in the similar way. With the passage of time and technological advancement, the knowledge has been diluted however, if we continue of observe the self-medicating process in animals, we might discover the hidden medicinal remedies that are sodden with less or no side effects.